"Galli built means better built!" It has since 1925 when Ray F. Galli started a new company and built his first home. Galli "Defies the Depression" by building home after home during the height of the worst economic disaster in modern history as reported in the San Francisco Examiner in 1933. Galli answered the growing demand for quality homes for military personnel and their families during the War Years and soon after as they decided to make the Bay Area their home. We have built entire neighborhoods in historic areas of San Francisco. We constructed the finest homes and remodeled extraordinary estates in Burlingame, Hillsborough and many other Bay Area locations throughout our history. 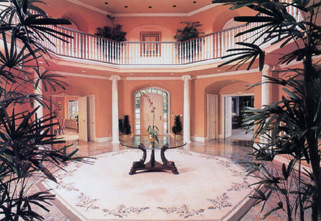 The commercial properties he have developed emphasize the tremendous levels of success of Galli's corporate clientele. Today, Galli Heritage carries on the family tradition building distinguished homes and commercial properties using the same dedication and master craftsmanship coupled with state-of-the-industry technology and building products. The results are the very finest show homes and business properties [with the most modern functionality and technologies built in]. Our services begin with longevity and the future in mind; we work first with the client, plus the architect and a team of professionals and craftsmen to transform your vision and blueprints into the finest properties. All aspects of your project are examined with meticulous detail from the planning phase through completion of the building phase. The client is there by our side as we first "break ground" through to the finishing touches. All works of Galli Heritage offer a rare level of participation and pride of ownership, and a lasting legacy for generations to come. Learn about our history and have a look at our portfolio of both recent and past projects; examine what we've done for others. If you are considering building your dream home or premier commercial property we will be happy to provide a tour of projects currently under construction that are similar to yours. You'll see what Galli Heritage will do for you and quickly understand why the Galli family of builders has been around since 1925, and why Galli built means better built! service partners and product providers.